This inflatable game will bring out all the challengers at your event. A great game for any age or group. The competition will lead to some memorable parties also. 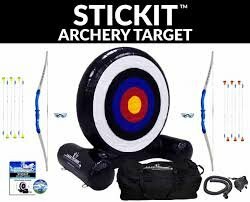 About to bounce rents this Safe archery game for 199.99.